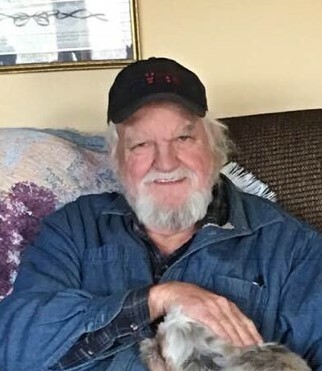 STEPHEN GRAYLING TALLEY age 64, of 1235A North Main Street, Roxboro, NC died Wednesday morning, April 3, 2019 at the VA Medical Center in Durham, NC. Mr. Talley was born December 27, 1954 in Halifax County, VA son of the late Franklin Talley & the late Nell Morgan Whitt Melton and husband to Linda Tuck Talley who survives. He was an electrician, was of the Methodist faith, and a veteran of the US Army. Surviving in addition to his wife are a sister, Cheryl Melton, and step-son, Larry Shull, Jr. both of Roxboro, NC. Mr. Talley is preceded in death by his step-father, Bobby Melton. Funeral services will be conducted at 2:00 p.m. Saturday, April 6, 2019 in the Strickland and Jones Funeral Services Chapel with the Rev. Norman Talley officiating. Interment will follow in the Shady Grove United Methodist Church Cemetery. The family will receive friends and guests for one hour prior to the service at the funeral home and other times at the home of Peggy Davis, 331 Gillis Road, Roxboro, NC. Pallbearers will be Timmy Bowman, Wolfman Campbell, Mike Clayton, Rod Gregory, James “Jughead” Milam, Adam Tate, and Katie Tate.